Being a big fan of The Flower Kings I'm naturally intrigued by any side project featuring Roine Stolt. 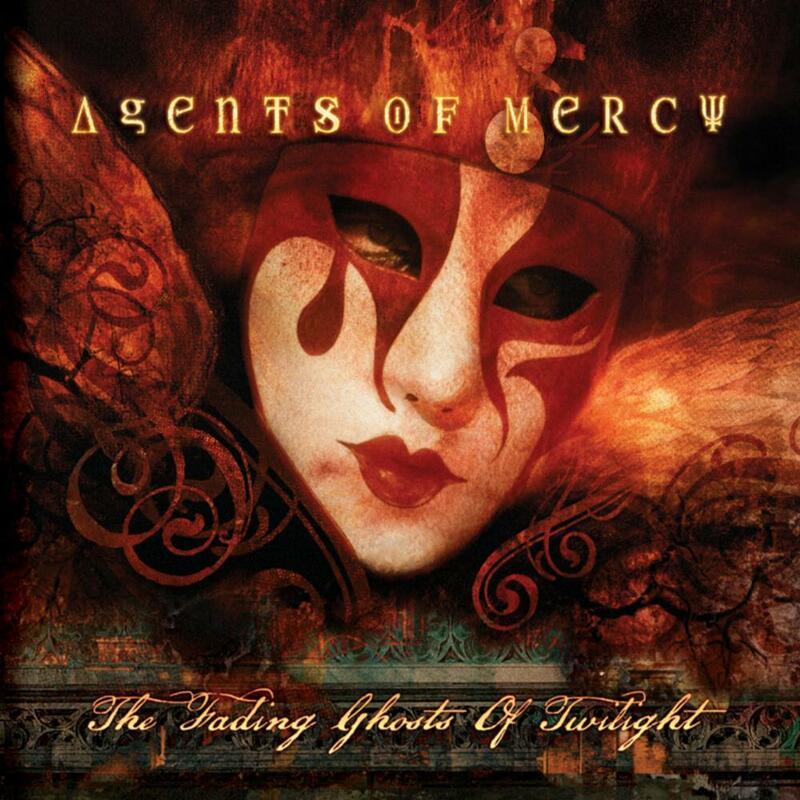 Agents Of Mercy is largely a collaboration between Stolt and Nad Sylvan of Unifaun though also backed by some heavyweight friends including drummers Pat Mastelotto (King Crimson), Zoltan Csorsz (ex Flower Kings) and bassist Jonas Reingold (Flower Kings). With this kind of pedigree I was expecting great things from Agents Of Mercy. After numerous plays I'm still totally underwhelmed by The Fading Ghosts Of Twilight. Naturally the playing is excellent though I'm not mad about Sylvan's vocals whom I would imagine for most people are somewhat of an acquired taste. The music bears all the hallmarks of The Flower Kings symphonic prog, not surprising considering half the band is here but in their less inspired moments. What this music lacks is strong hooks, I was longing to hear something memorable that I could remember after the album had finished playing but even after half a dozen listens or more very little makes a lasting impression. There are a few moments that rise above the mediocrity like Heroes & Beacons but in the main it's a fairly low key affair, the music plodding along without any spark or excitement to lift it; a real shame considering the capabilities of the players involved. It's quite a frustrating listen like on A Different Sun where the instrumental opening sounds promising only to drop into another uninspiring vocal section. A return instrumental section lifts things a bit but it's too little too late. Stolt has been involved in much excellent music over the years but Agents Of Mercy is the least satisfying of his projects to date. I for one won't be disappointed if this remains the only album from this collaboration.